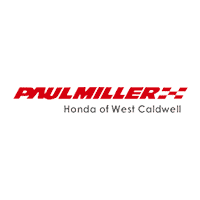 For almost a decade, Paul Miller Honda of West Caldwell has been providing drivers of West Caldwell with outstanding Honda vehicles at excellent prices, all delivered with a high-standard of customer service that’s emblematic of Paul Miller franchises. Indeed, every Paul Miller dealership is built on a strong foundation of honesty, courtesy, and professionalism that has made us firm favorites all across New Jersey, and Paul Miller Honda of West Caldwell is no different. Whether you’re making use of our comprehensive service department or perusing our world-class inventory, you can trust that you’re getting an excellent experience from us. We proudly serve the communities of West Caldwell, Verona, Montclair, Parsippany, Wayne, West Orange, Totowa, Boonton and Livingston, NJ. As one of the most reliable and long-lasting brands on the market, Honda is a firm favorite of pragmatic commuters and thrill seekers alike, and both can find their fix in our diverse inventory. We offer a wide selection of new Honda models of the highest quality, as well as an array of pre-owned vehicles under $10,000, so buyers on a budget can get what they need without sacrificing quality. When it comes time to make that purchase, we make the process quick, easy, and friendly. You can value your trade-in via our convenient website, which uses Kelley Blue Book to make sure you get every penny your vehicle is worth. In addition, our finance department is one of the best in the area. Our Finance Department is staffed with friendly experts who are ready to do everything we can to develop a finance plan that fits your needs. Don’t just take our word for it though; visit the Paul Miller Honda of West Caldwell lot, located at 1170 Bloomfield Avenue in West Caldwell, and experience for yourself why we’re one of the most trusted Honda dealerships in the area. And if you want to learn more about us, just contact us online or over the phone at (855) 637-9299 or just ask one of our customers from Montclair, Verona, Wayne, Parsippany or Totowa to find out how we continually exceed expectations! Why Buy from Paul Miller Honda? Drivers in Northern NJ can count on more than just expert advice and quality service when it comes to purchasing a new or pre-owned vehicle from the Paul Miller Honda inventory in West Caldwell, NJ. Our customers will not only receive valuable knowledge and immediate assistance in finding the perfect car to fit their driving needs, but a vast amount of phenomenal deals on new and pre-owned vehicles, service, and genuine OEM parts that are meant to satisfy one’s needs. Feel free to browse and compare the cars, trucks, and SUVs in our inventories to find what’s right for you and your family. When you enter our dealership in search of your next car, truck, or SUV, our professional sales team works with you every step of the way throughout the buying process so you can experience an easy and smooth transition out of your old vehicle and into the new model of your choice. Once you’ve committed to a model that suits your needs best, our financial experts will work to find you the best rate possible while staying within your price range. Throughout the year, we provide New Jersey drivers in our area with the opportunity to save on new and pre-owned vehicles with our amazing specials. Finding the car for you has never been easier, and the vehicles on our lot are just waiting for your test drive. Unlike other local dealers, we offer a wide variety of service and parts specials to give our customers the chance to save on maintaining the value and performance of their vehicle. You can expect monthly deals on services like oil and filter changes, tires and rotations, and parts specials that range from basic interior and exterior parts to active engine components. Stay updated with what we have available so you can save money next time you stop by. When you shop at a Paul Miller Dealership, you receive certified experience from employees and owners who have been working in the auto industry for decades. There is a reason why the Paul Miller name flourishes in the areas of West Caldwell, West Orange, Boonton, and Livingston and it’s because we provide our customers with nothing less of excellent service and quality maintenance for their future vehicles. Stop by today to experience it yourself. We work hard six days a week so you can easily find what you’re looking for at an affordable price. Stop by for a test drive at your convenience. We can’t wait to serve you! I always come here for all my car maintenance and am never disappointed. Efficient scheduling and follow up. Friendly staff. Excellent customer service. Expert maintenance on my Honda Accord. Trust the staff with estimates and pricing. All these things are important for a single woman. Thank you.